Cascais is a sophisticated and popular beach resort within easy reach of Portugal’s capital, Lisbon. 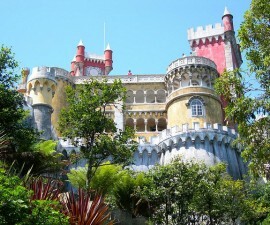 It is highly popular due to its historical connection with the Portuguese Royal Family and European landed gentry, combined with its pleasant climate and beautiful coastal setting. Shopping is almost a professional pastime in Cascais, with plenty of money, old and new, in evidence. As you would expect from a leading beach resort, Cascais is home to many boutiques selling beachwear, sunglasses and accessories, some designer and some more mainstream. Away from the beach, the Rua da Raita is a pedestrianized walkway lined with shops of all description, perfect for finding those little gems to remind you of your holiday in Western Portugal. 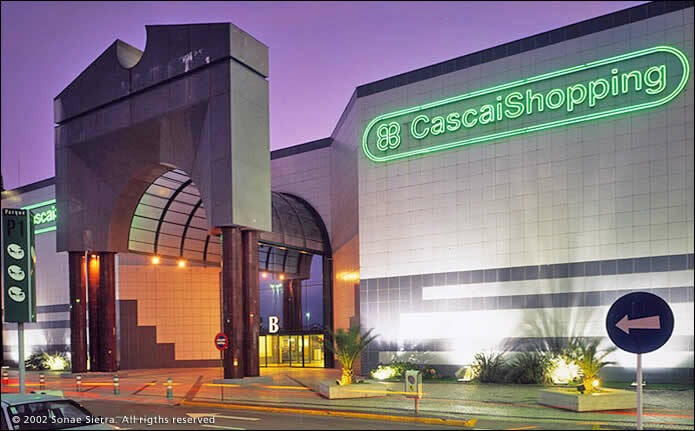 For more high street names and designer boutiques, eager shoppers flock to CascaisShopping on the road between Cascais and Sintra – see below for more details. 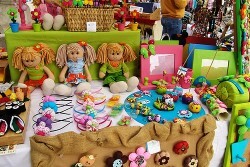 Portugal is known for its artisan craftworks. Basketware, ceramics and embroidery are hugely popular with a strong tradition. Shopping in Cascais is great for high quality hand embroidery – try Tear Linhos on Rua da Saudade for some of the best examples where bed linen, tableware, nightgowns and intricately embroidered children’s clothing are all on display in abundance. For handmade ceramics try the area around the church, which is teeming with independent boutiques selling some lovely hand-painted and handmade examples. Other popular mementos to take away from your trip to Portugal include traditional red or white wine or the popular port wine, produced in the Oporto region on the coast to the north of Lisbon. For something a little more lasting, gold is often a good buy – all gold must be 19.2 carats by law in Portugal and it is very reasonably priced so this may be a good time to treat yourself or a loved one to a special memento of your trip. 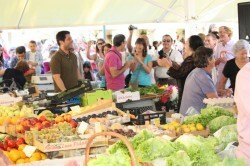 There is some great shopping to be done at the Cascais markets – head north to the Rua Mercado on a Wednesday or Saturday morning and you will find a colourful fruit and vegetable market where the colourful, fresh produce is as inviting as the happy, welcoming smiles of the stallholders. 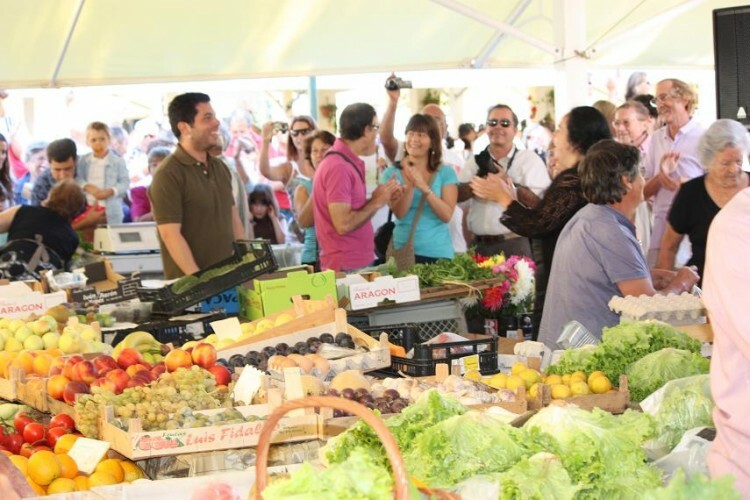 For a wider variety of artisan goods, household staples, shoes and clothing, head to the Praça de Touros on Avenida Pedro Alvares on the first and third Sunday each month. Arrive early and be prepared to haggle to land yourself a few bargains. The Centrally located Cascais Villa is a small mall with a limited selection of shops and a small cinema complex. Cascais Villa also boasts a very competitively priced Pingo Doce supermarket. 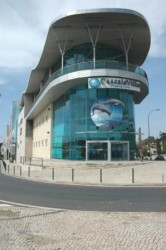 The main supermarket in Cascais is Jumbo. Jumbo stocks a good range of produce including a variety of imported favourites to give the town a home-from-home taste. Parking is difficult at peak times so go on foot for a small shop or aim to visit out of hours if you intend to load up on key supplies. 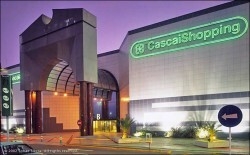 Away from the quirky beach and artisan boutiques, the primary shopping in Cascais is at the Cascais Shopping complex . Cascais Shopping is a huge retail outlet located on the RN9 between Cascais and Sintra, packed full of major high street names, designer boutiques and high-end furnishing and homeware shops. This is one of Portugal’s major retail outlets outside Lisbon and has continually been developed, expanded and improved to provide a satisfying shopping experience in a pleasant interior location. Clothing is one of the main draws here but whatever you are looking for you are sure to find it. Pet shops, flowers and plants, toys and gifts, gourmet foods, jewellery and watches, stateionery, cosmetics and electronic goods are all on offer, making Cascais shopping supremely easy. If you are here with the family, the food court makes the perfect spot to find a meal for all tastes all under one big roof. A large cinema complex is also a major draw. Beloura Shopping, a little further from Cascais town and closer to Sintra, is another popular mall. Smaller than Cascais Shopping, Beloura Shopping has a branch of SuperCor (part of the El Corte Ingles chain) which specializes in imported foods that are otherwise hard to find as well as a collection of small boutique-style shops and a cinema complex with a dedicated party room should you have little ones in tow and a special date to celebrate.